Why the air inside your home may be more polluted than the air outside. We hear about indoor air quality (IAQ) from many sources, but what does it really mean, and why should we be concerned about it? Indoor air quality is, simply put, the quality (good or bad) of the indoor air we are exposed to on a daily basis. Indoor air includes ALL indoor air: our homes, our offices, restaurants – anyplace that isn’t out of doors. Most people are aware of outdoor air quality because we hear about it during our daily intake of information – from allergy forecasts to Ozone Action Days to ground-level pollution caused by the burning of hydrocarbons. We are given suggestions to help combat these conditions, such as driving less, not filling our fuel tanks in the morning, and limiting exposure to outside air when allergens levels are high. But what about indoor air quality? No one ever gives us tips to help combat this. 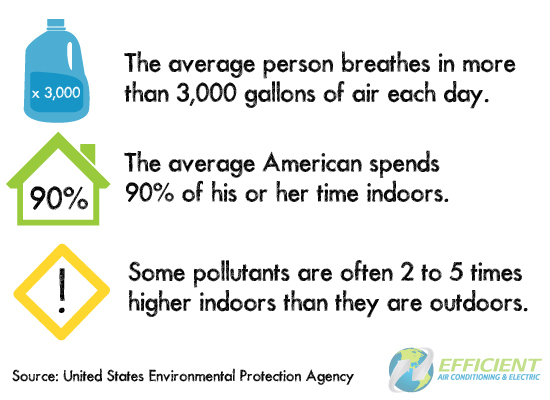 Indoor air pollutants are one of the top 5 threats to public health. The average person breathes in more than 3,000 gallons of air each day. Americans, on average, spend 90% of their time indoors. Some indoor air pollutant levels are often 2 to 5 times higher – and sometimes 100 times higher – indoors than they are outdoors. But why is indoor air quality often so much worse than outdoor air quality? The simple answer is that nature has a way of dealing with outdoor air pollutants. They are naturally occurring ions called hydroperoxides, and they destroy pollutants. Hydroperoxides are generated whenever three components are present: water vapor, oxygen and electromagnetic energy (from the sun). While two of these three are present in our homes (water vapor and oxygen molecules), the third (electromagnetic energy) isn’t strong enough to generate enough hydroperoxides to effectively combat indoor air pollution. This, along with poor ventilation, poor filtration and a large source of pollutants, is why indoor air quality is so much worse than outdoor air quality. There are three components to an effective approach to healthy indoor air: ventilation, PHI generators and filters. These three different systems tackle three different types of pollutants. In our post “Suffering from cedar fever? So is your HVAC system,” we covered ventilation. 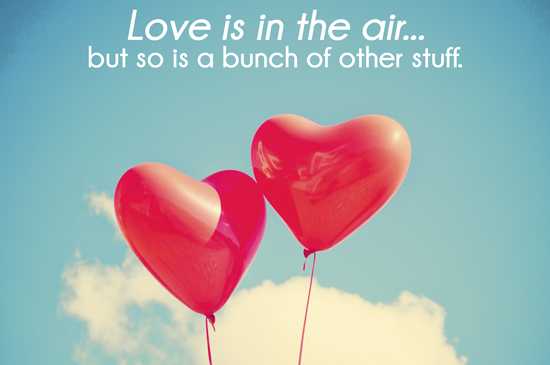 In our next post, we’ll discuss how PHI generators can help you breathe easy – both literally and figuratively.